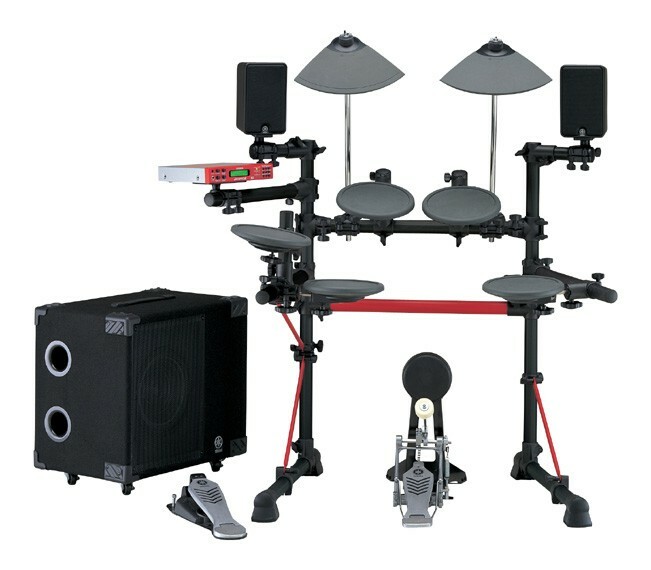 The MS-100DR amplifies your electronic drum kit in true stereo, letting you not only hear but feel what you are playing. Whether you are playing at home, in the studio, or live on stage you can hear every nuance of your performance. The 100w bass-reflex sub-woofer reproduces even the deepest kick drum or bass guitar sounds, letting you feel the bottom end and making your electronic kit feel more like an acoustic kit. The 40w satellite speakers reproduce the high frequencies of your snare, cymbals or pre-recorded songs. They mount to the rack using the included SPAT-1 speaker mounts making the MS-50DR a compact unit ideal for home use when space is limited. You can run a CD player or any other external audio source thru the mix-in so that you can play along with your favorite music at home, or play along with a sequencer for live performance. Run direct to a recording device in the studio or out to the house system in a live situation. All you have to do is plug the outputs from your drum module to the inputs in the subwoofer unit, plug the satellite speakers into the left and right speaker inputs (with the included speaker cables) adjust the amount of lows (woofer), and highs (satellites) you want, set the volume and play.